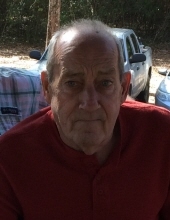 James Dale “Jimmy” Williamson, 67, of Hattiesburg passed away on November 25, 2018 at Forrest General. Graveside services will be Thursday, November 29, 2018 at 1:30 P.M. at Highland Cemetery. Mr. Williamson loved to plant his garden, and to play dominos and golf. He was preceded in death by his father, Jack E. Williamson; his mother, Beatrice E. Avera; and his brother in law, Chester James “Si” Garrett. He is survived by his two sons, James (Michelle) Williamson of Sumrall, and Scott Williamson of Hattiesburg; nine grandchildren, Blake Williamson, Hayden Williamson, Dakota Williamson, Haley Williamson, Hannah Williamson, Ashley Clark, Hayden Rand, Nick Rand, and Allison Rand; his beloved aunt, Doris Gene Wedgeworth of Hattiesburg; his sister, Julia Rebecca Garrett of Petal; and his two nieces. Visitation will be Wednesday, November 28, 2018 from 5 P.M. until 8 P.M. at Moore Funeral Home in Hattiesburg. To send flowers or a remembrance gift to the family of James Dale "Jimmy" Williamson, please visit our Tribute Store. "Email Address" would like to share the life celebration of James Dale "Jimmy" Williamson. Click on the "link" to go to share a favorite memory or leave a condolence message for the family.